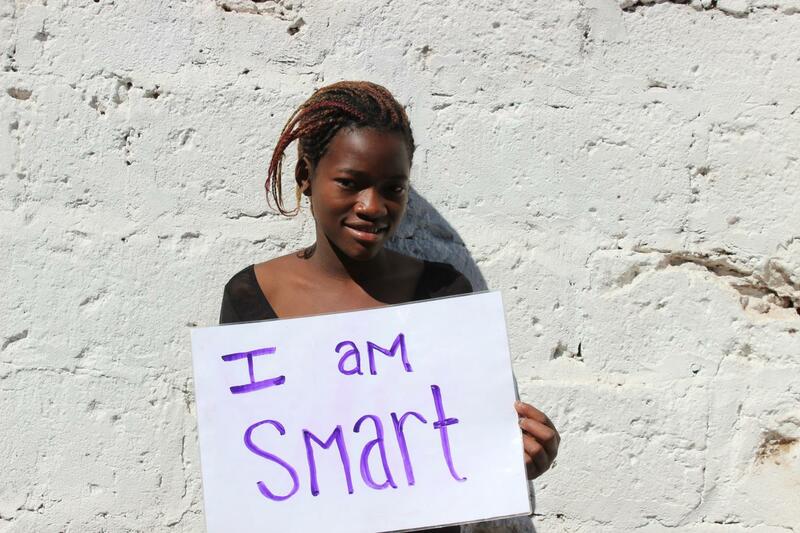 Romina Scianatico, our recent Girl Impact Volunteer in Livingstone shares her thoughts with us. If you’re looking for a well-rounded volunteer experience, have many interests, and are having a difficult time choosing a program to participate in, African Impact’s Livingstone Community Project is definitely one to check out. Located close to one of the Seven Natural Wonders of the world, Victoria Falls, the work done here is it’s own little wonder. You can choose a program within your interest and they also give you the freedom of a variety of projects to participate in – sports, teaching, eco-bricking, social activities, and tons more! As a student studying Nursing and Gender Studies, I chose Girl Impact (GI). My first week was packed with so many different activities it’s hard not to want to describe them all. Each was amazing in their own way. In this program you help teach lessons on health, bullying, drugs and alcohol, gender based violence, and teamwork to fifth and sixth grade girls at Linda Community School as well as rugby. There is also a farm which the grade school girls help tend to with the volunteers that ends up helping feed them. For the women in the community, you put together workshops so they can set goals, budget, and save money for their families. One of the lessons I put together was a introductory yoga lesson for the Women’s Group while we were covering healthy eating and fitness. I had never taught a class on anything nor am I the most advanced at yoga, but the warm support I received from GI’s coordinator eased my worries. The women in the group had never heard of the practice before so I wasn’t sure how well they would take to it. But, I was happily surprised to find that they really enjoyed it! I told them some brief history on the Indian origin of yoga and then guided them through breathing meditation before moving onto poses. One of the women, with a baby on her hip, was smiling so brightly the moment we started and things only got better from that point. There was laughing during some of the harder poses and directing each other in the postures. After we wrapped up with corpse pose and we were all laying in the sun, I couldn’t believe I had been hesitant and nervous for that morning. I was very pleased that many of them said their bodies felt loose and that their joint pain had lessened – something I didn’t expect to happen during their first go at yoga! What I took away most from that day was that even though I barely knew these women, there was a strong sense of sisterhood. They were enthusiastic and keen to learn. I’m not sure if they know it, but those lovely ladies left a huge impact on my life – probably more so than I did on theirs. Despite the language and culture barriers, a connection was still made and I’m immensely grateful for that. It’s something I will carry with me on the flight journey home and further. So, for all of the precious moments I know have in my memories, I’d like to thank Zambia, African Impact and it’s coordinators, all the females I had the privilege to come into contact with at Linda, and my fellow volunteers.